Recent news reports indicate Russia’s intention to modernise much of its military in the coming years. The commander of Russia’s Radiological, Chemical and Biological Defense (RChBD) troops, Maj. Gen. Eduard Cherkasov, announced a focus on so-called ‘flame weapons’ – incendiary, thermobaric and fuel-air explosive (FAE) weapons – describing a program of modernisation and development. Arms and munitions using these principles are more prominent within Russian military doctrine compared with that of many western nations, with systems ranging from light weapons such as the GM-94 grenade launcher, to self-propelled rocket artillery such as the TOS-1 Buratino multiple launch rocket system (MLRS) and the 7100 kg AVBPM air-delivered munition. ARES recently released Research Report No. 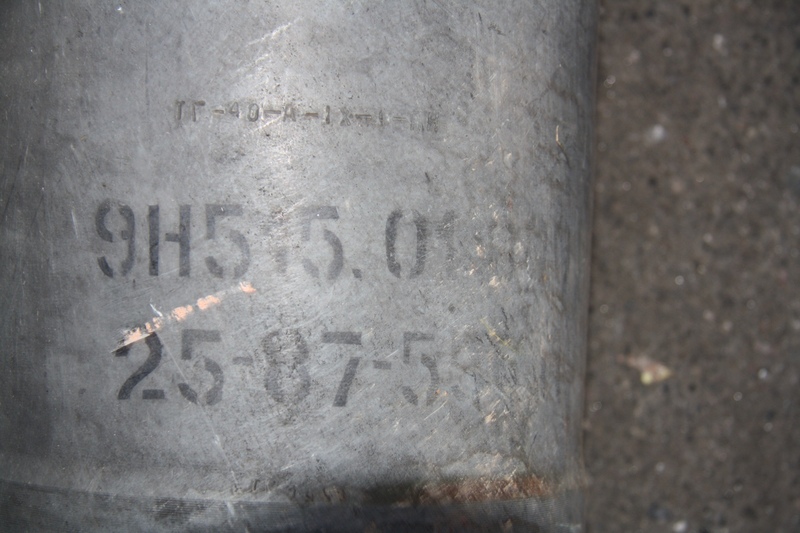 3 Raising Red Flags: An Examination of Arms & Munitions in the Ongoing Conflict in Ukraine, documents a number of ‘flame weapons’ of Soviet or Russian origin in eastern Ukraine, in service with both Ukrainian government forces and pro-Russian separatists. These potentially include the GM-94 pump-action grenade launcher, which was documented in the hands of combatants in civilian clothing, likely Russian forces. The GM-94 fires a variety of proprietary 43 mm cartridges, including the VGM93.100 thermobaric round. This projectile has a blast radius of 3 metres, and features a polymer outer construction which is designed to minimise shrapnel, allowing for the engagement of targets (particularly in structures) at ranges as close as 10 metres. 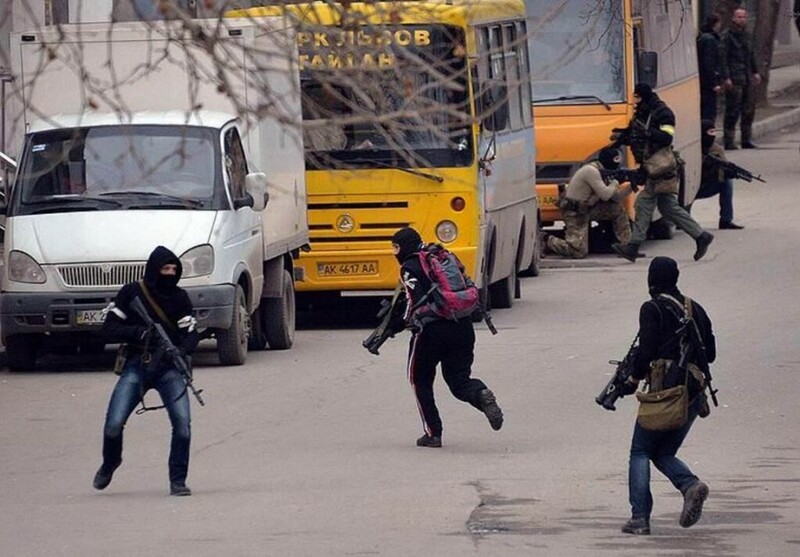 Combatants in civilian clothing in Crimea. Central figure is carrying a GM-94 grenade launcher fitted with an EOTech type holographic sight (photo credit: unknown). 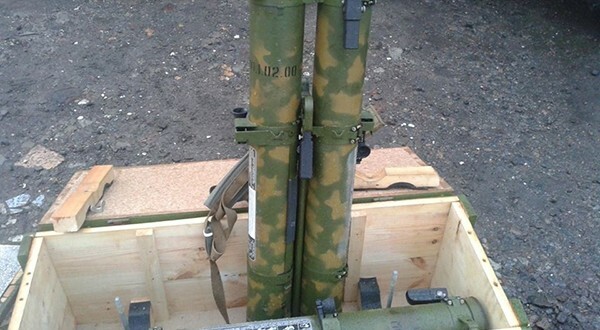 RPO-A and MRO-A thermobaric weapons which were produced in Russia relatively recently (2002 and 2008, respectively), have been documented in eastern Ukraine. The RPO-A is a shoulder-fired recoilless weapon in a 93 mm calibre, with an effective range of approximately 200 metres. It entered service in Soviet times and remains in production today, however it has been supplemented in Russian service by the MRO-A. The MRO-A is a 72.5 mm rocket launcher with a total weight of 4.7 kg, and an effective range of around 90 metres. 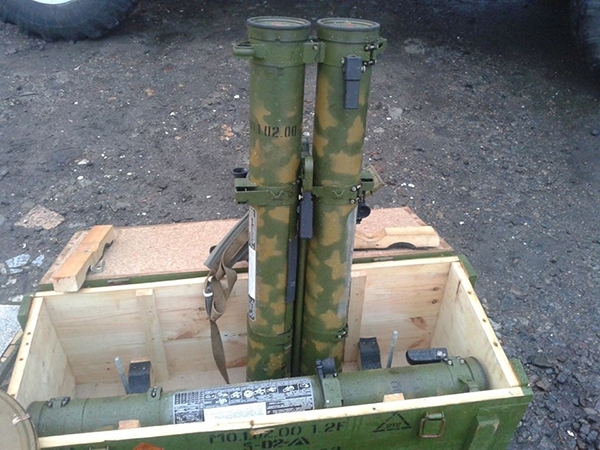 An MRO-A rocket launcher, showing 2008 year of production (photo credit: Міністерство оборони України). 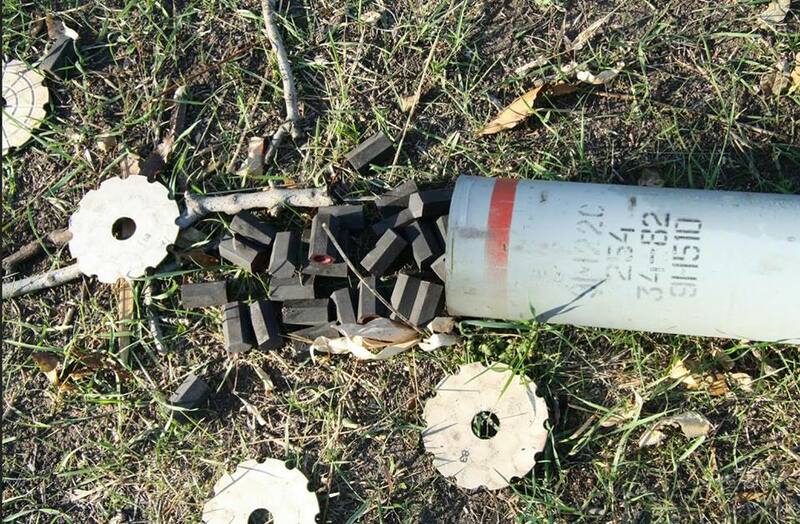 Both ARES and VICE News have documented the presence of the 9M22S incendiary rocket in eastern Ukraine. The 122 mm 9M22S rocket carries the 9N510 warhead, containing 180 incendiary elements which are composed of ML-5 magnesium alloy and filled with a pyrotechnic composition similar to thermite. Each element has a burning time of at least 2 minutes. The 122 mm rocket is launched from the 9K51 Grad MLRS and similar systems, with the 9K51 being capable of firing up to 40 rockets in around 20 seconds. 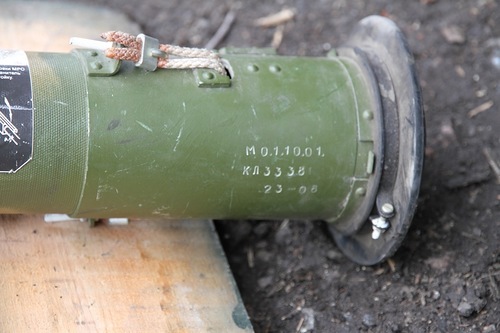 A 9M22S rocket documented in eastern Ukraine (photo credit: Mark Hiznay / Human Rights Watch). Whilst Maj. Gen. Cherkasov’s statements may seem to indicate the development of a new series of ‘flame weapons’, or perhaps updated munitions for current systems, it is likely that we will still see older incendiary, thermobaric, and fuel-air explosive systems in service with the Russian armed forces for some time. In conflict zones around the world, older Soviet-era types will continue to predominate. A note on definitions: thermobaric and FAE weapons are not typically considered ‘incendiary’ weapons by western militaries, as they are intended primarily to detonate rather than deflagrate, by way of a deflagration to detonation transition (DDT). “Combatants in Crimea” ? There was no ‘combat’ in Crimea. These guys look like civilian militia.